When people decide to move, one of the biggest concerns is of course how to pull off the whole thing, whether everything will be alright, how to pack everything properly, etc. And yes, those are things that you should really pay attention to a lot since that will determine the success of relocation. And, it will contribute to the less amount of stress related to moving. However, there also other very important things. You see before you make a permanent decision on where to move, we suggest you take a look at the neighborhood. After all, that’s where you will be spending most of your time. If you are interested in how to be on good terms with your neighbors, we’d be happy to share some useful tips with you. Hopefully, these will help you deal with the situation easier. Now, we understand that social interaction is a bit difficult for some people. For others, it comes naturally. But here, it is important to be open to establishing a good relationship with the people you share the building with or the neighborhood. So, make the first move, introduce yourself. You don’t really have to bake cookies or something of that sort, but it would be nice to show that you are interested in making a contact with them. Basically, you will feel much better and relaxed knowing that you now know at least someone in the new neighborhood. Who knows, you may even end up being close friends. If you’ve already bought or reserved a future apartment or a house, but you won’t be moving there just yet since you still have to finish with packing, and other tasks as well, you can prepare the neighbors by informing them about your arrival. One of the ways to do it is to kindly ask your real estate agent to send them a short letter of introduction about yourself so that they could know a little bit more about you. This will help both you, and them to break that invisible barrier between you. Plus, it would be easier for you to make the first step. Also, we are sure that everybody from the neighborhood will appreciate the good gesture from your side. Let it be an icebreaker of some sort. One of the best things, when you live in a close-knit community, is that there is always something going on. So in order to be on good terms with your neighbors, join activities in the neighborhood. If someone is throwing a party, try to find some time to drop by and greet others. Also, this gives you the perfect opportunity to start a conversation with someone you didn’t know that well before. It will connect you more with others. Moreover, it will give you a feeling of a deeper and stronger connection with your neighbors. What’s more, if you moved with your family and have children, you are also helping them become familiar with the people in your nearest surrounding. It would be even better if other people brought their children. And you will see, day by day, you will fill more comfortable in your new place. The more activities going on, the more fun it will be. 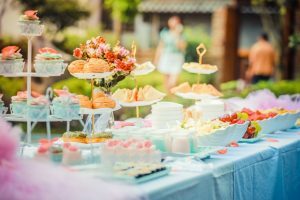 After you’ve spent some time living in the area, maybe it is time to return the favor to the community and make a little gathering or a party. If you live in an apartment, and you think it is not big enough to receive all the people, perhaps you can make some other arrangements. Propose several ideas for organizing the meet up elsewhere. If the weather permits, you could make a big picnic. You could do some fun games, too. Doing this will also help you get closer to more people. What’s more, if you include some music, dancing will lift everyone’s spirits up and raise the energy. Dancing is actually one of the best ways to stay in shape, especially after moving. One of the first definitions of a good neighbor is to be willing to help others. And if the situation allows, always be ready to offer your help to others. Nothing will speak better of you that nice gestures you selflessly do. 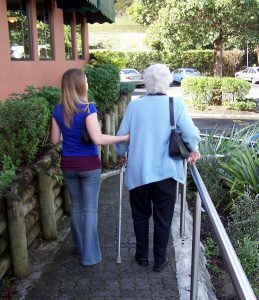 If you see some elderly neighbors who are about to cross the street or carrying grocery bags, offer to carry those to their home instead of them. Ask them if you can do anything else to help them out, such as sort the groceries, or mow the lawn. If someone just got the baby, ask them if there is anything that would mean them or help them in the first period until the baby grows a bit. These small signs of attention will truly make you feel like a part of the neighborhood and will bring you more friends. Every day is an opportunity to show nice manners. Whether that will be a friendly, warm smile, or helping others it doesn’t matter. What is more important is that you are in a position to make a strong impact and spread positive energy among people you meet on daily basis. And another way to make a strong connection is being respectful. This means that you won’t make noise in late hours, or play loud music. If you are celebrating something and you are making a private celebration, make sure to inform the people about it in advance. Still, do not misuse the situation. Instead, be courteous. We are sure you would ask the same. Why is it important to go along with the neighbors? You’ll feel safer. Knowing more people in your neighborhood will help you feel safer. If something unfortunate happens, your neighbors are the first ones to help. You can leave your pet with them. 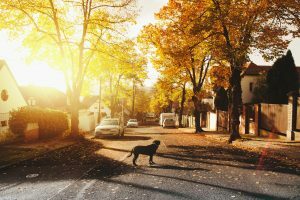 If you are planning a trip and you don’t know what to do with your pet, you can always ask some of your neighbors. Babysitting is also an option. If there is someone among the people in your neighborhood you truly trust, ask them to give you a hand. We are sure you can find dozens of other reasons how being close to your neighbors can be of great help to you. One thing’s for sure, once you finish with unpacking, you can start enjoying your new environment. Perhaps, some of your new neighbors can join you as you explore the area.